Abstract: This seminar presents a panoramic view of various renewable energy large power variable speed electric generator designs and their control in hydro and wind energy conversion, especially in Europe. With hydropower currently being the largest renewable source for electric power generation, this work explores the benefits of integrating variable speed generators such as Doubly Fed Induction Generators (DFIG), Cage Rotor Induction Generators (CRIG) and Permanent Magnet Synchronous generator (PMSG) in such systems. Bio: Dr. Ion Boldea is a Professor at University Politehnica of Timisoara, Romania, a member of the Romanian Academy, and a Life Fellow of IEEE. Since 1973, when he was a Senior Fulbright Scholar at University of Kentucky, he has returned more than 15 times as a Visiting Professor, spending more than 5 years altogether in Lexington. He has also been a Visiting Professor at Oregon State University, University of Manchester and University of Glasgow in Britain, and Aalborg University in Denmark. In 1977, Professor Boldea was part of the original team who established at UK under the leadership of Professor Nasar the Electric Power Components and Systems Journal, now part of the Taylor and Francis collection. He is the director and founder since 2001 of the internet-only international “Journal of Electrical Engineering” and served as General Chairman of the biannual IEEE sponsored International Conference OPTIM in between 1996 and 2010. Professor Boldea published on topics of rotating and linear motion electric machine design and controls more than 200 papers, including 6 that received IEEE best paper awards, and 18 books in USA and the United Kingdom. He has been consulting, lecturing, giving keynote addresses, and holding intensive courses in USA, Europe and Asia for the last 25 years. He has been an IEEE-IAS Distinguished Lecturer since 2008 and lectured in this capacity in USA, Denmark, Italy, and Brazil. He is the recipient of the IEEE 2015 Nikola Tesla Award. The Power and Energy Institute of Kentucky is pleased to continue its seminar series* regarding energy issues on the University of Kentucky campus. There are also opportunities to participate in online seminars. Details will be provided as they become available. Please join us. All faculty, students, staff, and visitors are welcome. *Each seminar is worth one Professional Development Hour (PDH) for industry and professional participants. Participants wanting to receive certificates for Professional Development Hours should sign in on the request form at the seminar. The University Energy Club is presenting its first annual Fall seminar with guest speaker Aron Patrick, Manager of Technology and Analysis at LG&E and KU. Bio: Lonnie Bellar was named to his current position in March 2018. He has over 30 years of experience in the electric and natural gas utility industry. Bellar joined Kentucky Utilities in 1987 as an electrical engineer. He held several engineering roles in the transmission and generation areas leading up to a position managing the generation planning function. Bellar was promoted to Director of Generation Services in 2000 and subsequently served as General Manager of LG&E’s Cane Run and Ohio Falls generating stations, Director of Financial Planning and Controlling, Director of Transmission, Vice President of State Regulation and Rates and Vice President of Gas Distribution and Senior Vice President Operations. Bellar is currently a chair of the company’s Power of One charitable giving campaign, which supports United Way, Crusade for Children and Fund for the Arts organizations. 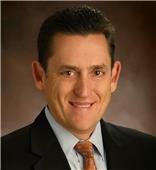 Bellar is a board member of Electric Energy Inc. and Ohio Valley Electric Corporation. He serves on the board of directors for the American Gas Association and Southern Gas Association, along with representation on various AGA and SGA working committees and groups. He also participates on the Greater Louisville, Inc. – board of directors, executive committee and committee membership and the University of Kentucky Engineering School dean’s advisory council. 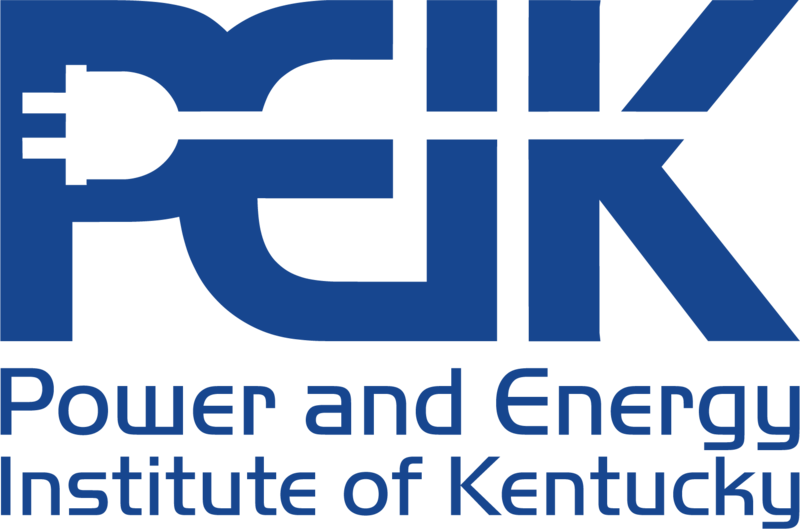 On October 11 and 12, 2018 the Power and Energy Institute of Kentucky (PEIK) will be represented at the Kentucky Governor’s Conference on Energy and the Environment at the Lexington Convention Center by Dr. Donald Colliver, Professor of Biosystems and Agricultural Engineering, and Director of KIAC, and Jason Souders, PEIK/KIAC/FEEDER Coordinator. PEIK will again have an exhibition booth providing information on the program’s education, outreach and research activities and facilitating engaging discussions with attendees, current and prospective supporters. As per the event organizers, the Kentucky Governor’s Conference is bringing together some of the state’s top minds in the energy and environment arenas. Some will be speakers and presenters, other will be there to participate and network. Sessions will look at how we can make wise choices about the energy we use on a daily basis, how we safeguard the environment now and for future generations while enabling growth, and how an aging water infrastructure and legacy of waste dumps throughout the Commonwealth are presenting funding challenges. Abstract: The 2017 National Electric Code workshop will outline updates to the national electric code for 2017. The update process included 4002 public inputs, 1513 public comments, 5 new articles, 19 code making panels. The workshop will review the changes and allow for discussion on current activities involving the 2020 NEC. The 2018 NFPA 79 Electrical Standard for Industrial Machinery workshop will outline how to comply with this standard, new requirements for 2018, and the differences between North American and other safety systems. You will also learn where to find additional resources to help expand your understanding of these requirements. A discussion on the statutory requirement to meet this standard for projects installed within the Commonwealth of Kentucky. Bio: Keith is an Industry Standards Manager for Schneider Electric USA and is based in Lexington, Kentucky. 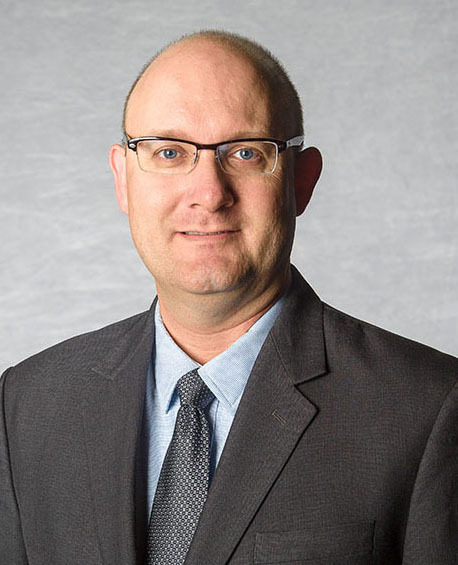 He is responsible for overcurrent protective device and automation/control product standards, installation codes, enforcement, and holds BSEE degree from the University of Kentucky. Keith is also engaged in applying codes and standards addressing energy efficiency & sustainability. He also participates in the Power & Energy Institute of Kentucky’s Industry Advisory Council. Keith is a licensed Professional Engineer and a Certified Energy Manager. Keith has been an employee of Schneider Electric for 32 years as a Product Application Engineer, Proposal Development Engineer, Price Manager, Merchandise Marketing Manager and Multiple Business Development positions including Strategic & Global Account Management as well as managing several strategic segment engineering teams. Keith frequently speaks on various energy efficiency, sustainability, product application, and code compliance topics. He is a member of numerous industry technical committees. Keith is a NEMA representative to NEC Code Making Panel 11. He has published articles on Energy Management and Electrical Controls. This workshop will present the NEC and NFPA 79 workshops and include lunch from 12-1pm. Attendees may register for NEC and NFPA 79 individually or both workshops. Note that lunch is provided and included in the registration fees for the NEC portion and full day only. Bio: Dr. Ion Boldea is a Professor at University Politehnica of Timisoara, Romania, a member of the Romanian Academy, and a Life Fellow of IEEE. Since 1973, when he was a Senior Fulbright Scholar at University of Kentucky, he has returned to Lexington more than 15 times as a Visiting Professor and spent here more than 5 years altogether. He has also been a Visiting Professor at Oregon State University, University of Manchester and University of Glasgow in Britain, and Alborg University in Denmark. In 1977, Professor Boldea was part of the original team who established at UK under the leadership of Professor Nasar the Electric Power Components and Systems Journal, now part of the Taylor and Francis collection. He is the director and founder since 2001 of the internet-only international “Journal of Electrical Engineering”, www.jee.ro, and served as General Chairman of the biannual IEEE sponsored International Conference OPTIM in between 1996 and 2010, www.info-optim.ro. 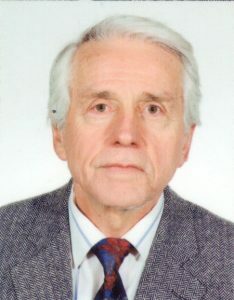 Professor Boldea published extensively in linear and rotary motion electric machines design and controls, more than 200 papers, including 6 that received IEEE best paper awards, and 18 books in USA and the United Kingdom. He has been consulting, lecturing, giving keynote addresses, and holding intensive courses in USA, Europe and Asia for the last 25 years. He has been an IEEE-IAS Distinguished Lecturer since 2008 and lectured in this capacity in USA, Denmark, Italy, and Brazil. He is the recipient of the IEEE 2015 Nikola Tesla Award. High and medium voltage DC power transmission is reviving with new power electronics technologies. Its multiple advantages over the legacy AC power transmission system, especially for new applications for distributed energy generation with very high penetration of renewables will be discussed. The presentation covers principles, fundamental structures, components and systems and includes examples of recent developments, especially in Europe. Bio: Denver York oversees the operations of EKPC’s portion of the Eastern Transmission Interconnection. His areas of responsibility include Transmission Planning, Design and Construction, Operations, Maintenance and supporting functions. Mr. York is a registered professional engineer. Prior to joining EKPC, he worked as an Engineer at Harris Corp. in Palm Bay, Fla. He holds a master’s degree in Electrical Engineering from Georgia Tech and a masters degree in Business Administration from Easter Kentucky University. The seminar will include an overview of the resources, history, and activities of the East Kentucky Power Cooperative (EKPC), which provides service to half a million homes and businesses in 87 Kentucky counties. The presentation of the utility’s capabilities will cover the power plants and generation methods, including the H.L. Spurlock Station located near Maysville and John Sherman Cooper Station located near Somerset. Details about EKPC’s transmission planning, operations, and maintenance will be discussed, including substation layout and analysis. The presentation will conclude with a brief overview of the new Cooperative Solar Farm One. 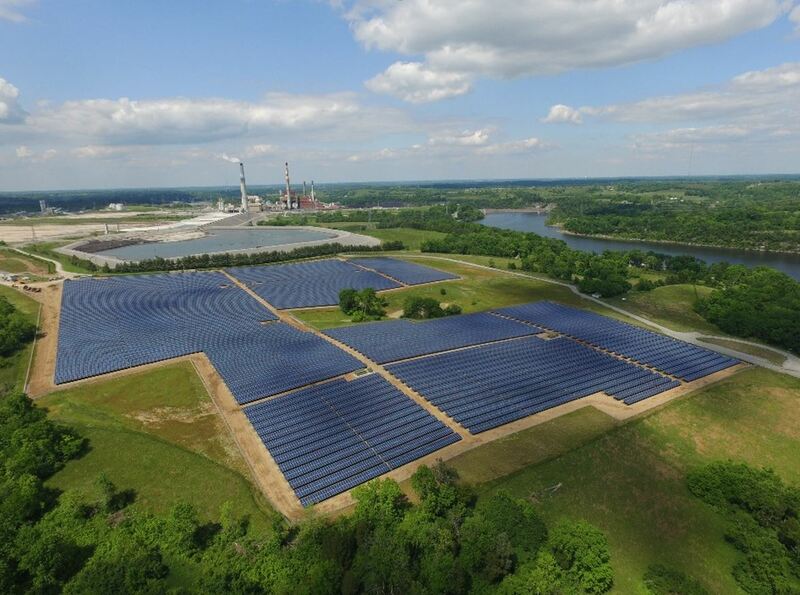 Operated by EKPC, it is one of the largest solar projects in Kentucky, producing 8.5 megawatts with 32,000 solar panels. This seminar is presented in partnership with the IEEE Power and Energy Society, Lexington Chapter. Stewart Evan Jones, a UK engineering student was recently awarded the renewal of his annual IEEE scholarship from the Power & Energy Society Plus Initiative, a signature program of the IEEE Foundation. Evan’s IEEE scholarship was initially granted in 2017. This year, he is one of only 30 students in the entire Southeastern IEEE Region selected to receive such an award. The Institute of Electrical and Electronic Engineers (IEEE) is headquartered in New York City and is the world’s largest association of technical professionals with more than 400,000 members. Evan who is a native of McCreary County, started his studies at UK on a Kentucky Governor's Presidential Scholarship in 2015, he is now also a Pigman scholar, and will be graduating in May 2019 with a dual BS degree in electrical engineering and in computer engineering, a minor in mathematics and with the PEIK certificate in power and energy. 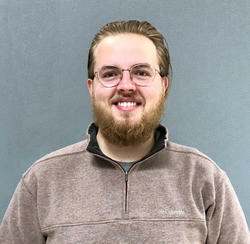 He has a passion for electric power engineering, worked as an intern with East Kentucky Power Cooperatives (EKPC) for the last couple of years, and is now also conducting undergraduate student research in the SPARK Laboratory with Dr. Dan M. Ionel, ECE Professor, L. Staley Pigman in Power and an IEEE Fellow. Evan, who is already registered in the University Scholar Program, plans to continue with PhD studies in electrical engineering at UK starting in the fall of 2019. ECE faculty and PEIK researchers, Dr. Dan M. Ionel, Professor, L. Stanley Pigman Chair in Power and PEIK Director, and Dr. Aaron Cramer, Associate Professor and EE Director of Graduate Studies, will serve as PI and Co-PI, respectively, on a recently awarded NSF grant for research on transformational concepts for a new generation of electrical machines and controls. 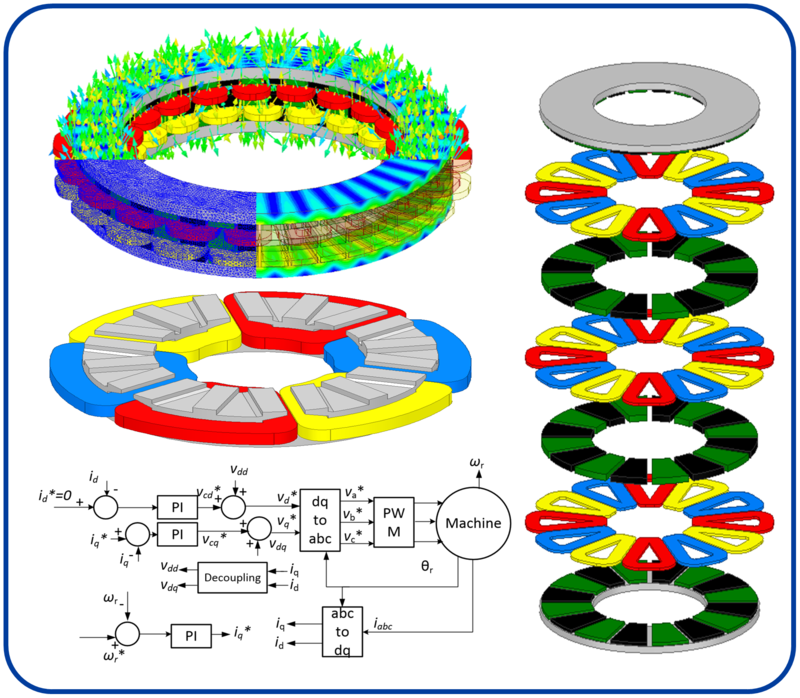 These will be especially developed for ultra-high energy efficiency and for the very recent advancements in wide band gap power electronic devices, such as SiC and GaN, and will include two novel axial flux permanent magnet machine topologies, one coreless and one incorporating a torque magnification effect. The potential impacts are most significant as the electric motors account for more than 60% of the electricity consumed and electric machines and associated power electronic drives represent a multi-billion dollar industry. The new three-year project benefits of a budget of approximately $375,000. The research builds upon preliminary results and publications including an IEEE ECCE award winning paper with contributions by postdoctoral researcher Dr. Vandana Rallabandi and Ph.D. candidate Narges Taran. This grant renews UK’s long tradition of NSF projects on advanced research on electric machines and controls initiated almost half a century ago by Professors Nasar and Boldea. In recent years, Dr. Ionel’s and Dr. Cramer’s research on related topics at UK has been funded by NASA, ONR, and directly by leading industrial companies. 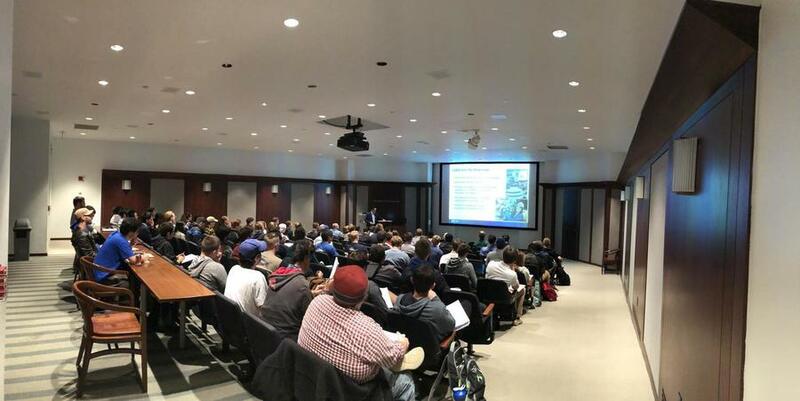 On November 5th, 2018 Lonnie Bellar, Chief Operating Officer at LG&E and KU presented a seminar at the University of Kentucky titled “Engineering Innovation and Recent Developments at LG&E and KU”. The seminar included an overview of the resources, history, and activities of LG&E and KU, which provides service to 1.3 million customers in Kentucky and Virginia. The presentation covered the company’s well-established facilities as well as recent advancements in the automation of electric power distribution. One section discussed the benefits of solar power and introduced the main technical specifications of Kentucky’s largest solar PV facility recently developed by LG&E/KU on its E. W. Brown site. The final part of the presentation outlined opportunities for students to become involved in the LG&E/KU engineering co-op program and potential engineering career paths. On October 11 and 12, 2018 the Power and Energy Institute of Kentucky (PEIK) participated as exhibitors at the Kentucky Governor’s Conference on Energy and the Environment at the Lexington Convention Center by Dr. Donald Colliver, Professor of Biosystems and Agricultural Engineering, and Director of KIAC, and Jason Souders, PEIK/KIAC/FEEDER Coordinator. 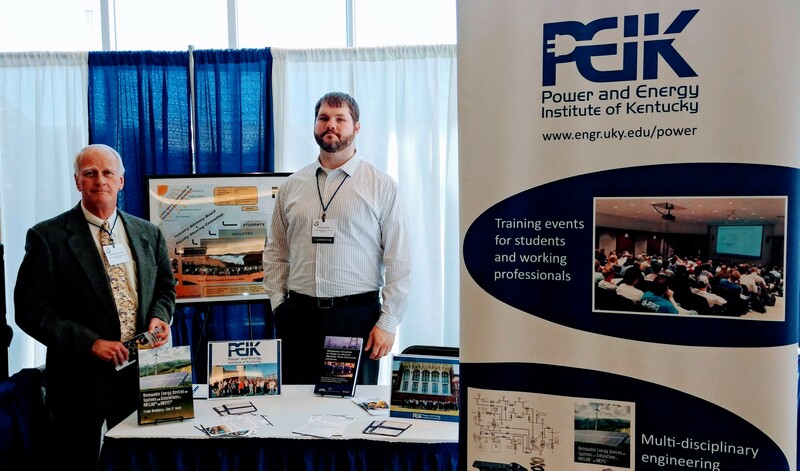 PEIK had an exhibition booth providing information on the program’s education, outreach and research activities and facilitating engaging discussions with attendees, current and prospective supporters. A workshop on the National Electric Code and NFPA 79 was presented on October 2nd by Mr. Keith Waters, Industry Standards Manager at Schneider Electric. Organized by PEIK, Schneider Electric, and IEEE, the dual workshop outlined updates to the national electric code. The recent update process included 4002 public inputs, 1513 public comments, 5 new articles, 19 code making panels. The workshop reviewed the changes and allowed for discussion on current activities involving the 2020 NEC. The workshop was well attended with more than 30 specialists from various industrial and engineering professions. The instructor, Mr. Keith Waters, holds a BSEE degree from the University of Kentucky and is a licensed Professional Engineer and a Certified Energy Manager. 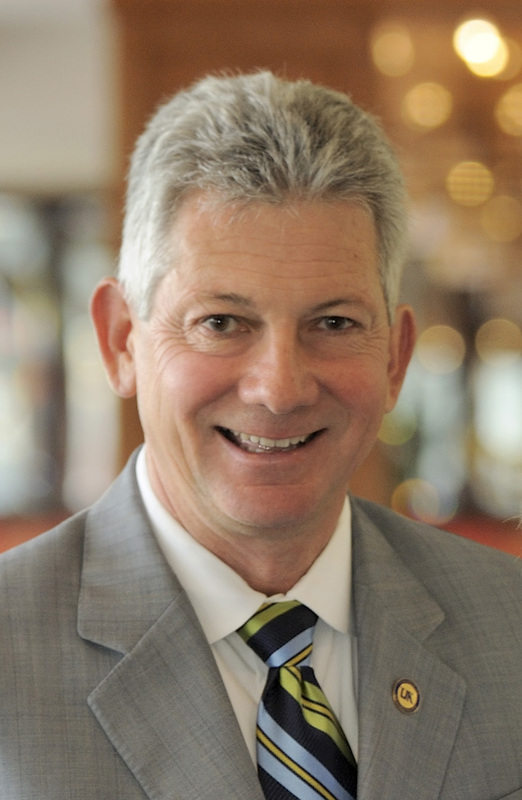 He has been with Schneider Electric for 32 years in roles of increasing responsibilities. Keith is currently a NEMA representative to NEC Code Making Panel 11 and also serves on PEIK's Industry Advisory Council. The UK College of Engineering and the Power and Energy Institute of Kentucky (PEIK) have recently awarded more than twenty new E. On scholarships, which are reflective of our commitment for providing opportunities and support for junior and senior engineering majors. The students who were selected to receive this merit-based scholarship demonstrated strong interest in power and energy and already completed at least three courses towards the multi-disciplinary engineering PEIK certificate. PEIK educates the next generation of power and energy engineers at UK and offers both Undergraduate Certificates and Graduate Certificates. In addition to fundamental multi-disciplinary courses on Power Generation, Power Systems, and Power Policy and Economics, PEIK faculty at UK also offers more specialized courses on Smart Grid, Power Protection, Electric Distribution, Sustainable and Renewable Energy, and many others with a total of more than a thousand annual enrolments. 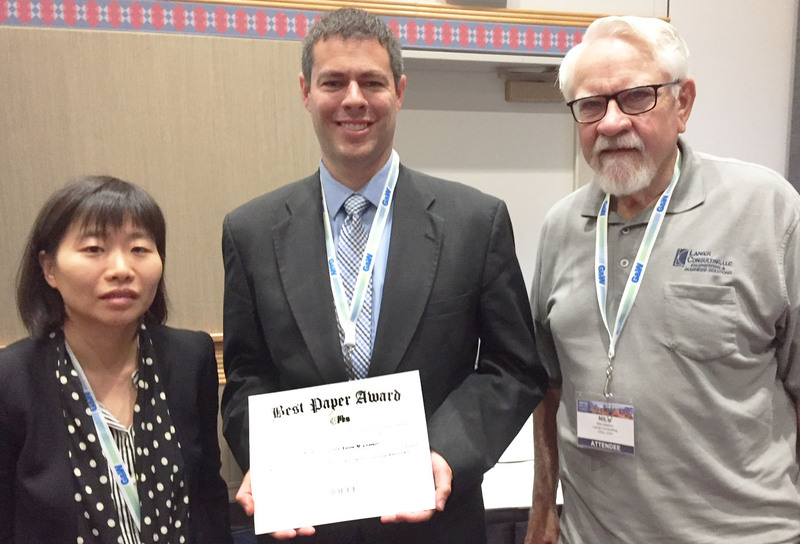 At the IEEE Power and Energy Society General Meeting in Portland, OR this summer, Dr. Aaron Cramer received a Best Paper award on behalf of his former graduate student Dr. YuQi Zhang and himself. They earned the award for a paper titled “Unified model formulations for synchronous machine model with saturation and arbitrary rotor network representation,” which appeared in IEEE Transactions on Energy Conversion. The editorial board of the journal selected this paper from among papers published in 2016–2017. The paper presents methods to improve the understanding of the behavior of electric generators in advanced power systems. The award was presented to Dr. Cramer during the meeting of the Electric Machinery Committee (EMC) by Nil Nilsson, the EMC Awards and Recognition Chair, and by Kay Chen, the EMC Chair. Dr. Zhang successfully completed at UK her Ph.D. in electrical engineering earlier in the summer. 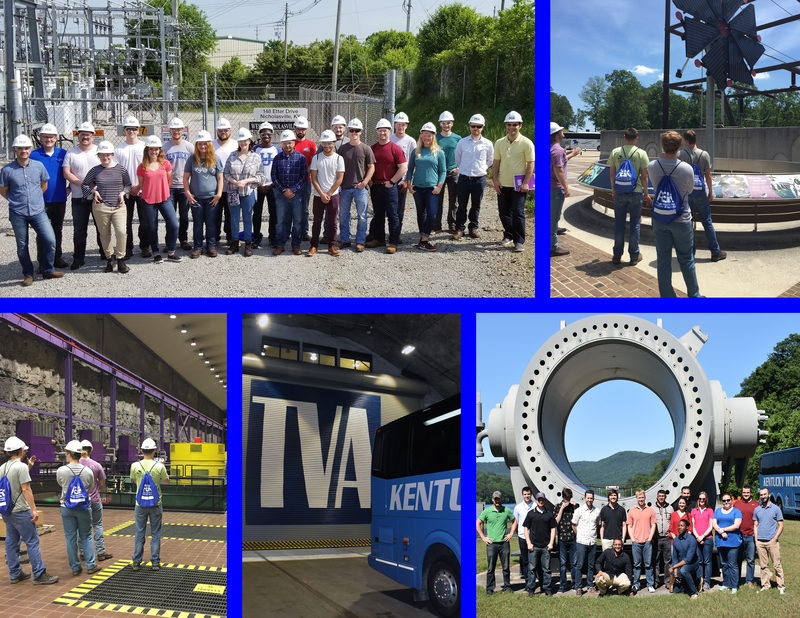 The annual edition of the Power and Energy Experiences course, which is offered by UK as part of the PEIK program, was organized with the generous support of the partner power utilities Tennessee Valley Authority (TVA) and East Kentucky Power Cooperative (EKPC). The class took place in the first part of the summer term and included a one week field trip, which provided the students with an immersive experience through daily visits of regional facilities for generating, transmitting, distributing and managing electricity. Tours included a coal fired power plant, hydro generating and pumped storage installations, a land fill gas generation facility, a non-operational nuclear power plant, coal fired, hydroelectric and natural gas combined cycle generating facilities, and an electric distribution substation. New tour attractions included this year TVA's large operations center in Chattanooga, and EKPC's multi-MW solar PV farm, one of the largest in Kentucky, near Winchester, and the Oak Ridge National Laboratory. The course, which is an elective for the PEIK undergraduate certificate, and a requirement for the PEIK graduate certificate, also included an on-line module covering the theoretical background. 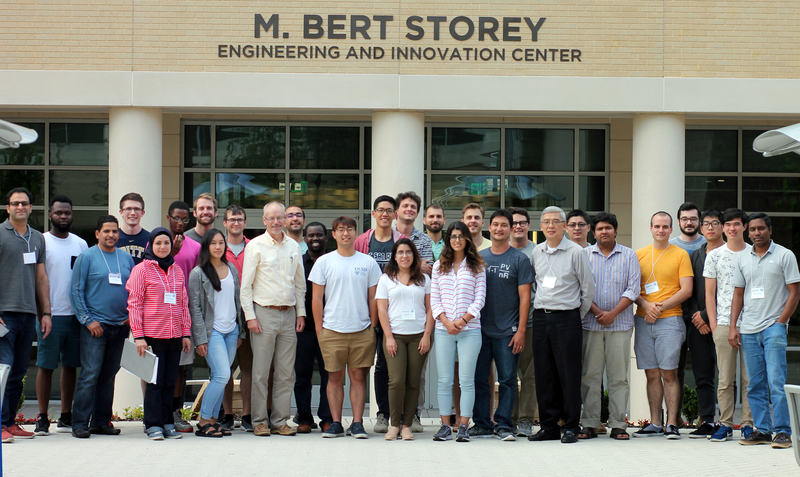 Course instructor, Dr. Jeff Seay of the Chemical Engineering Department, led a large class of undergraduate and graduate students from diverse engineering disciplines. 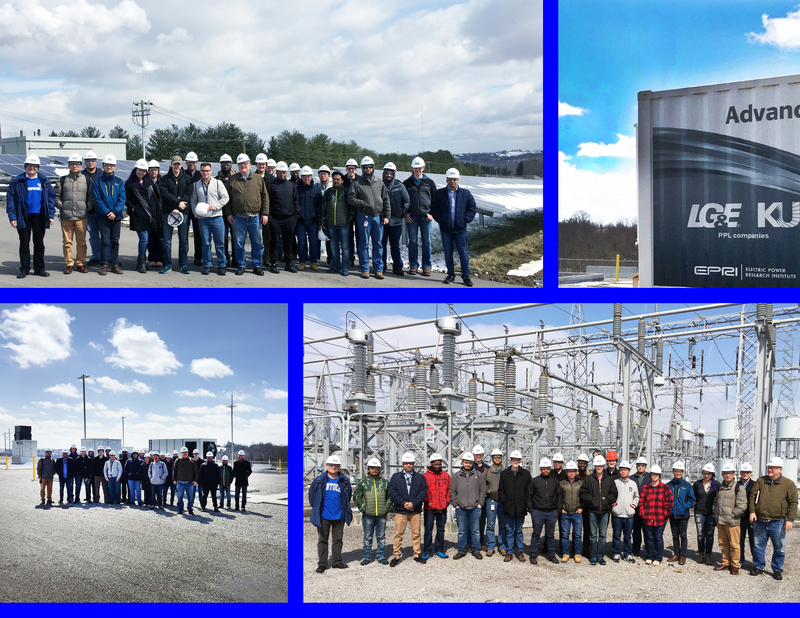 Earlier this year, PEIK completed with the generous support of partner power utilitiy LG&E-KU the first edition of the Electric Power Systems Operations course, which included campus and on-site lectures, and field visits to production and research facilities. Hosted at the University of South Carolina, the Foundations for Engineering Education for Distributed Energy Resources (FEEDER) summer program theme for 2018 was “transactive power flows”. Held June 11-15, 2018, the program gave students an opportunity to develop algorithms for scheduling and trading power, with the aim of gaining familiarity with the concept of microgrids, local power trading, power use scheduling, energy storage and real time computing. Our own PEIK students, Oluwaseun Akeyo, currently Ph.D. student and M.S. '17, and Mahsen Al-Ani, M.S. '18, were part of the team that received the “Best Presentation” award for their “Hot House Team in Transactive Power Flow” project. Their modeling and simulations studies resulted in a control system for a smart house with solar PV and batteries that maximize the financial advantages of distributed generation and energy storage. Additionally, Ahmad Ghaweta, PEIK Ph.D. student, was part of a team that earned a best performance algorithm award. The FEEDER summer program is funded by the Office of Energy Efficiency and Renewable Energy, US Department of Energy, under the Grid Engineering for Accelerated Renewable Energy Deployment program (GEARED). Electrical and computer engineering professors Larry Holloway and Yuan Liao lead the FEEDER program at UK as part of a national Consortium, which includes twelve Universities. At the annual Tau Beta Pi Award Banquet held April 17, Jeffrey Seay was named the 2018 winner of the Henry Mason Lutes for Excellence in Engineering Education Award. 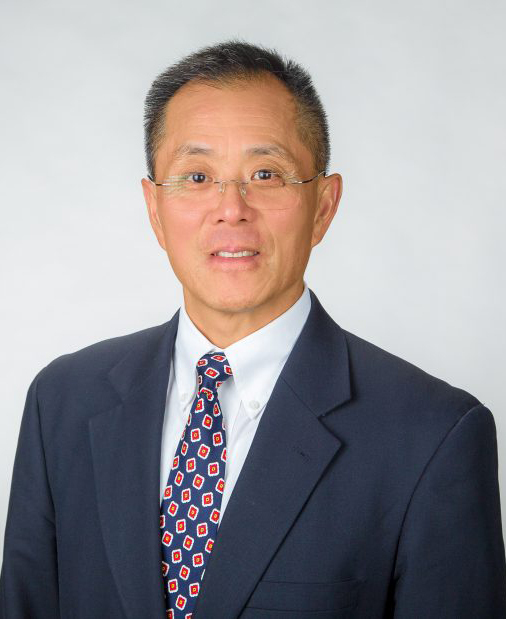 Seay is the PJC Board of Trustees Engineering Associate Professor of Chemical Engineering at the University of Kentucky College of Engineering Extended Campus in Paducah. Since leaving industry to pursue an academic career in 2008, Seay has sought to achieve excellence in all aspects of teaching. His efforts have been recognized with the 2013, 2017 and 2018 Outstanding Teaching Awards in Chemical Engineering at the Paducah campus, as well as the 2017 Provost Outstanding Teaching Award. In 2013, Seay was recognized at the national level as the inaugural recipient of the AIChE Sustainable Engineering Education Award. In Paducah, Seay has taught an exceptionally broad range of core courses in chemical engineering including senior capstone design. In addition, he has developed an elective in the area of sustainable power and energy that has been delivered in both traditional and online formats, serving large numbers of students in Lexington and Paducah. Beyond the classroom, Seay is a strong proponent of engineering education through undergraduate research, experiential learning and international opportunities. Recently, Seay was named a Fulbright Specialist and granted an appointment as Visiting Associate Professor at Makerere University in Uganda, where he has taught his sustainability elective and participates in the co-advising of graduate students. The Power and Energy Institute of Kentucky (PEIK) at UK and Louisville Gas and Electric -- Kentucky Utilities (LG&E-KU) have further expanded their collaboration, this time on teaching activities, by offering a new course on Electric Power Systems Operations, Dr. Dan M. Ionel, ECE Professor and L. Stanley Pigman Chair in Power, and Dr. Nick Jewell, Senior Research Engineer with LG&E-KU and Adjunct Professor with the ECE Department at UK, served as instructors for a class of more than twenty undergraduate and graduate students. The first part of the spring semester was devoted to in-class lectures to ensure the theoretical background for the daily field trips, which took place during the midterm week of academic break. The visits included LG&E-KU EW Brown facilities for coal and natural gas power plants, the high voltage transmission substations, the largest solar PV power plant in Kentucky, and the large electric battery research demonstrator. The weekly tour concluded in Simpsonville, KY, with a visit of LG&E-KU's state-of-the-art control center. The class benefited of the on-site lectures as well as detailed tour explanations and discussions directly with subject matter engineering experts. The students very much enjoyed the opportunity to link the academic teachings with the industrial practice. This successful initiative builds upon the on-going collaboration between UK and LG&E-KU for the co-op and internship programs and for joint research on advanced topics of electric power systems. Drs. 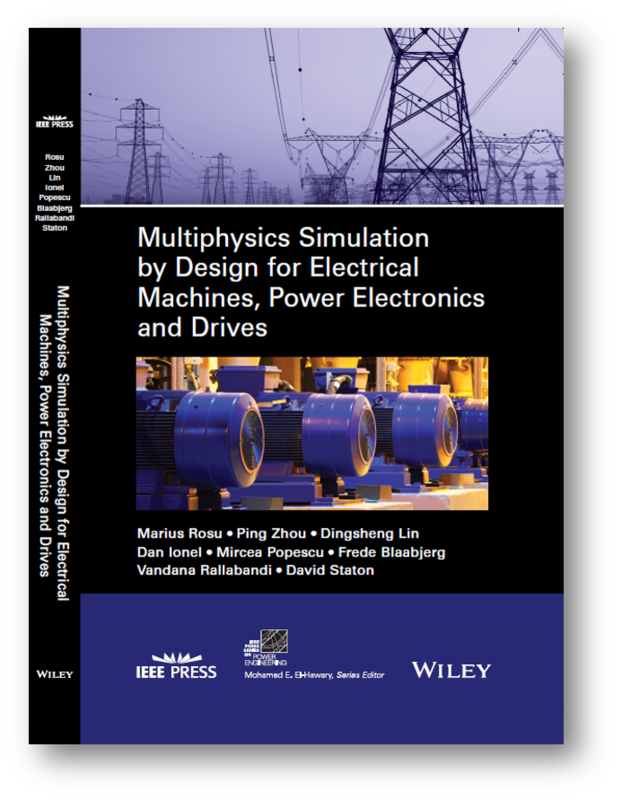 Dan M. Ionel and Vandana Rallabandi, with ANSYS authors and collaborators, are co-authors of a recently published textbook Multiphysics Simulation by Design for Electrical Machines, Power Electronics, and Drives, published by IEEE Press. The text provides and extensive overview of electric machine design optimization and its integration with power electronics and drives. Combining the knowledge of experts from academia and the software industry, this text delivers the multi-physics know-how based on practical electric machine design methodologies. Case studies are included from industrial practice and research and development projects. The text is available now in traditional and eBook format. University of Kentucky Frank J. Derbyshire Professor of Materials Science Y.T. Cheng has been named a fellow of the National Academy of Inventors (NAI), the organization announced Tuesday. Election to NAI Fellow status is the highest professional accolade bestowed solely to academic inventors who have demonstrated a prolific spirit of innovation in creating or facilitating outstanding inventions that have made a tangible impact on quality of life, economic development and welfare of society. With the election of the 2017 class there are now 912 NAI Fellows, representing over 250 research universities and governmental and nonprofit research institutes. The 2017 fellows are named inventors on nearly 6,000 issued U.S. patents, bringing the collective patents held by all NAI Fellows to more than 32,000 issued U.S. patents. Yang-Tse Cheng is the Frank J. Derbyshire Professor of Materials Science and professor of physics and astronomy (joint appointment) at the University of Kentucky. Prior to joining UK in the fall of 2008, he was a technical fellow and laboratory group manager for engineered surfaces and functional materials at the General Motors R&D Center. Mr. L. Stanley Pigman, UK alumnus and long-time supporter of PEIK, received the honorary doctoral degree at the Commencement Ceremony on Friday, December 15. An engineer and entrepreneur, Mr. Pigman graduated from UK as a first-generation college student in 1981 with a degree in mining engineering. After working with Sierra Coal, a subsidiary of General Electric, he joined with two colleagues to form Sugar Camp Coal, and eventually his own company, Pigman Coal Sales. He built several more businesses that own and lease coal properties. In 1999, Mr. Pigman established a scholarship program at UK for undergraduate engineering students from Kentucky with financial need. Since then, he has expanded the program and is very involved with the recipients. Overall, more than 80 Pigman Scholars have benefited from the generosity of Mr. Pigman and his wife, Karen. In addition to the scholarship program, the Pigmans also sponsor a leadership development institute for UK students, support student technical activities, including the UK solar car team, and graduate student research on power and energy topics. Mr. Pigman’s generous donations made possible the establishment of the endowments for the L. Stanley Pigman Chair in Power and for L. Stanley Pigman Faculty Fellowship.